Designs by Anthony is proud to offer a variety of diamond engagement rings along with fancy diamond necklaces & pendants. 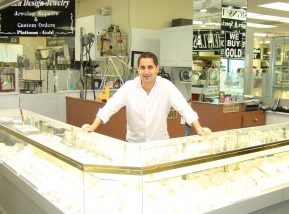 We use grade "A" diamonds and offer lifetime warranty on all of our merchandise. All custom orders and repairs are done on premises. We also buy gold, diamonds, and watches. We look forward to serving you here at the exchange!